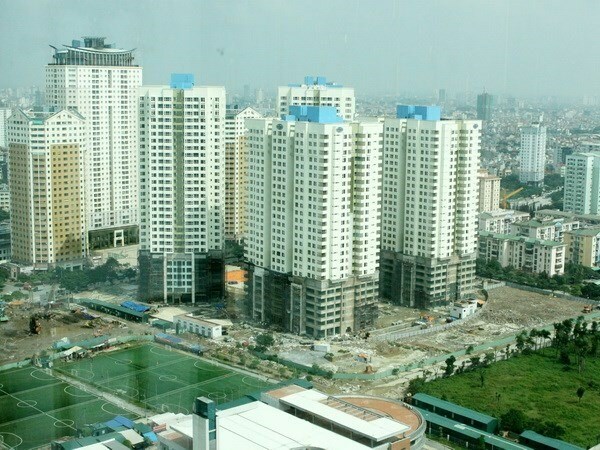 HCM City (VNA) - A lull in the Ho Chi Minh City real estate market is pushing developers to offer promotions to bring back buyers. Tuoitre.vn quoted an unnamed developer as saying that in the last two months it has been difficult to sell apartments. His project in District 6 has 450 units but only 140 have been sold since the beginning of this year. His company had planned to begin a new project in the second quarter of this year, but it has been put on hold as a result of the market slowdown. All his employees have been put on the job of selling apartments at old projects, he said. Pham Lan, general director of Danh Khoi A Chau Company, said the land segment has slumped since last month since customers have become apprehensive after prices skyrocketed in districts 2 and 9. Besides, many expect the market to remain steady until the end of the year and so have put off their buying plans, he added. Le Hoang Chau, chairman of the HCM City Real Estate Association, said this year developers had been selling their old projects and few new ones have come to the market. Land transactions are strongly down since Lunar New Year in late January, he added. Dao Xuan Tung, head of the Can Gio Notary Office, said the number of land transactions has declined sharply. In May every day his office handled 30-40 registrations, but the figure has come down to below 10 since June, he added. Other notary offices reported a similar situation, with transactions coming down by 30-40 percent. Faced with a slump on one hand and the need to repay banks on the other, developers are offering many promotions like increasing the amenities on offer, furniture packages, increasing the time between instalments and lucky draws, though they have not reduced prices or only reduced them marginally. The developer of the District 6 project said cutting prices would not be fair to previous buyers, but, faced with pressure from the bank, he had decided to increase the time between instalments from one month to three. Since the beginning of last month, a company in District 7 has added many amenities at a project it plans to build. Besides, customers from districts 1, 5, 7 and Binh Thanh will get 1 percent discount and an additional 1 percent if they buy in a group.